Anyone who thinks that the above excerpt is from a contemporary article on the Philippines can be excused because the description does sound regrettably familiar, particularly in impoverished communities. But no, the above excerpt was taken from a 1569 document describing the Philippine Islands and their inhabitants, written by no less than the conquistador and first Spanish governor of the country, Miguel López de Legaspi. That the document was written in 1569 tells us that he was describing the inhabitants in Cebu and surrounding islands, where he and his fellow conquistadors built a foothold and based themselves for the first five years since their arrival in 1565. 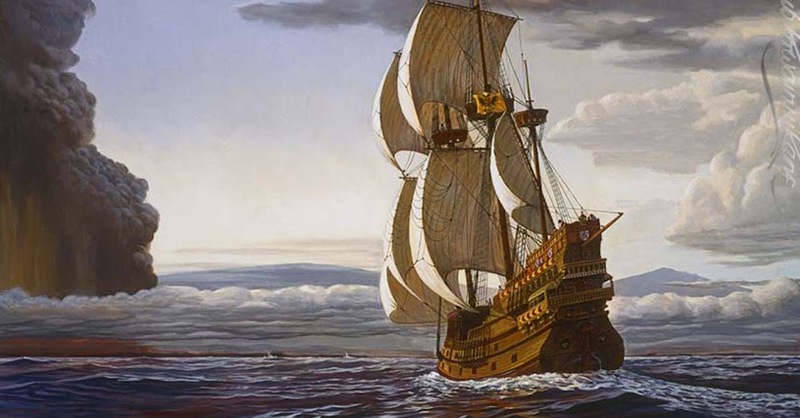 That this was true elsewhere, Colonel Martin de Goite and Captain Juan de Salcedo, whom de Legaspi sent in May 1570 to explore the island of Luzon, were soon to find out. With de Salcedo having caught up with de Goite in the town of Balayan, albeit injured by a poisoned arrow after his party had been ambushed whilst attempting to explore a lake called Bombon, presently Taal Lake, the Spaniards had to ponder their next moves in their goal of reaching Manila. The Spaniards were detained in Balayan for a period of three to four days as the natives, with whom de Goite had established convivial relations, tried to give him small instalments of impure gold, probably as a tribute. The Spanish expeditionary party had been receiving tributes from towns and villages where they stopped on the way to Manila since sailing from Panay on the 8th of May 1570. Unable to delay his trip to Manila any longer, de Goite decided to leave Balayan after receiving reassurance from the locals that the promised amount (likely of gold) would be completed and collected on his way back to Panay from Manila. However, local chiefs of Balayan expressed the desire to accompany him and his party on their way to Manila. They were, thus, joined by seven or eight more praus from Balayan. Earlier, a vessel from Balayan returning home from Manila laden with merchandise had been driven by a storm to Tulay. Instead of extending hospitality, as might have been expected, to the vessel’s crew, the natives not only stole the goods on the vessel but also killed two members of the crew and displayed their heads on stakes. A crude 1699 map created by Marcos de Orozco showed a place called “Tuley” off the stretch of coastline past the western peninsula that encloses Balayan Bay as we know it in the present day2. This coastline, called “Tulay” or “Tuley,” was described as being characterised by broad shoals or shallow sandbanks that can even become visible at low tide. Marcos de Orozco's map shows "Tuley" just past Balayan Bay. If this was the case, then Tulay, the enemies of Balayan, could have been present-day Calatagan, so named for its flatlands or plains. That said, even parts of the coasts of Lian and Nasugbu are known to have shallow waters. At any rate, as de Goite’s Manila-bound party, joined by several praus from Balayan, neared the waters off Tulay, two more praus flying white flags approached. Those on board “declared that they were natives of that coast, and that three towns, which could be seen with the naked eye4” wished to be friends and to pay tributes. Both parties agreed to abide by de Goite’s decision, even if obviously the theft of Balayan’s merchandise and killing of its men had to be left unavenged. The master-of-camp instructed the natives from Tulay to prepare the tribute they promised so that he might pick these up on his return from Manila. The Spaniards, wary of the shallow waters of the shoal and probably anxious to push on to Manila after hearing from the natives that it was so close, stayed only overnight off Tulay before pushing on early the next day to attain the objective of their expedition.